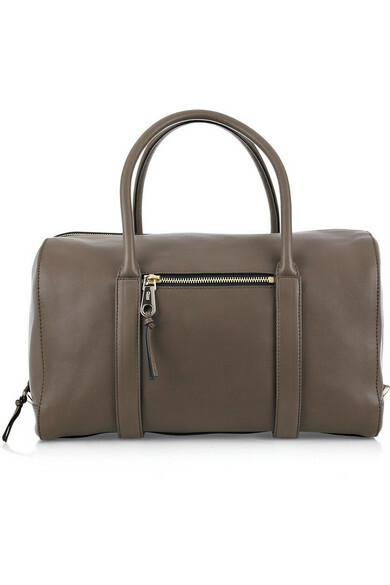 Give your wardrobe a dose of understated luxe with Chloé's softly structured dark-taupe leather bowling bag. 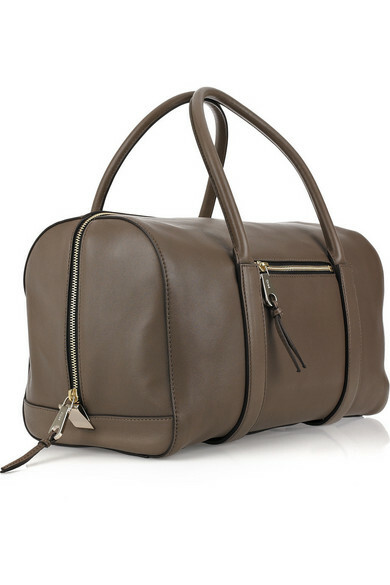 Take this covetable carryall to work with a peach blouse and blush pants for perfect new-season minimalism. Shown here with a Kenneth Jay Lane ring and a Chloé shirt, pants and shoes. 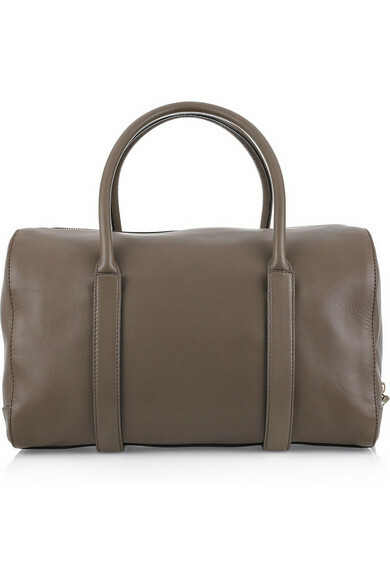 Dark-taupe leather bowling bag. 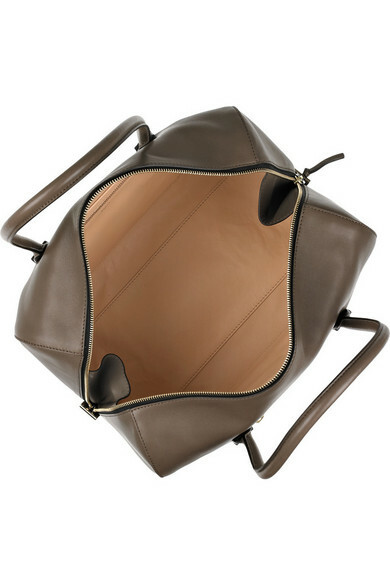 Chloé bowling bag has light-gold hardware, two top handles, a zip-fastening pocket at front, a zip fastening along top and tab-detailed sides, designer-stamped zip pulls with tasseled leather pull tabs, straps around base, internal pouch and zip-fastening pockets, and is fully lined in blush leather. 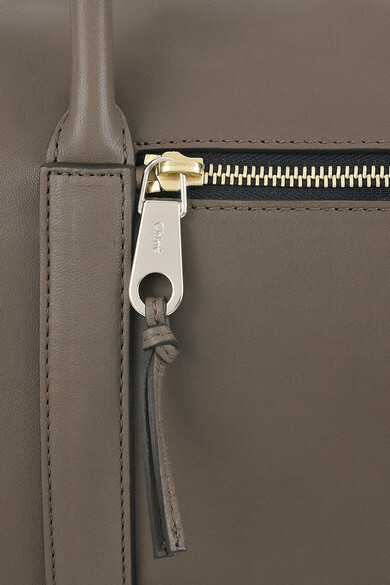 Leather: Lamb. Designer color: Smoke.